On Tuesday 23rd April 2019 the sun will rise at 06:02 and will set at 20:21. It will be a mild day, with temperatures reaching around 20.1°C. Today is expected to be a dry day, with a very low chance of rain. It will be quite a breezy day, with a maximum expected wind speed of 15mph. On Wednesday 24th April 2019 the sun will rise at 06:00 and will set at 20:23. It will be a mild day, with temperatures reaching around 14.1°C. A light shower is possible, 2mm of rainfall is possible today. It could be quite a gusty day today, with a maximum expected wind speed of 26mph. On Thursday 25th April 2019 the sun will rise at 05:58 and will set at 20:24. It will be a mild day, with temperatures reaching around 12.5°C. A light shower is possible, 2mm of rainfall is possible today. Some quite strong winds are possible today, with a maximum expected wind speed of 33mph. On Friday 26th April 2019 the sun will rise at 05:56 and will set at 20:26. It will be a mild day, with temperatures reaching around 13.4°C. A light shower is possible, 2mm of rainfall is possible today. It could be quite a gusty day today, with a maximum expected wind speed of 28mph. On Saturday 27th April 2019 the sun will rise at 05:54 and will set at 20:28. It will be a mild day, with temperatures reaching around 11.6°C. Today is expected to be a dry day, with a very low chance of rain. Some quite strong winds are possible today, with a maximum expected wind speed of 38mph. On Sunday 28th April 2019 the sun will rise at 05:52 and will set at 20:29. It will be a mild day, with temperatures reaching around 15.7°C. Today is expected to be a dry day, with a very low chance of rain. It will be quite a breezy day, with a maximum expected wind speed of 19mph. On Monday 29th April 2019 the sun will rise at 05:50 and will set at 20:31. It will be a mild day, with temperatures reaching around 8°C. Today is expected to be a dry day, with a very low chance of rain. It will be quite a breezy day, with a maximum expected wind speed of 20mph. 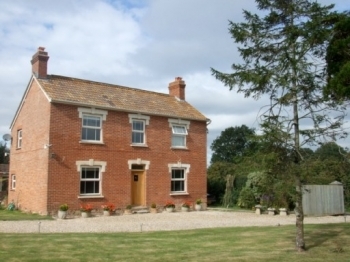 Hill View is a fine detached house standing in its own grounds on the edge of the village of Westonzoyland in Somerset surrounded by green fields and gentle hills. The location is truly peaceful and relaxing. Hill View is tucked away on the outskirts of the historic village of Westonzoyland, just half a mile from the site of the Battle of Sedgemoor, the last battle fought on English soil in 1685. It is centrally located in the Somerset levels with easy access to the moorlands, caves, gorges and coastline of this lovely part of England. Despite the peaceful location of Hill View, the house is 12 minutes from junction 23 of the M5 and 20 minutes drive from the A303. The area abounds with scenic, historical and rural interest with the beautiful Somerset coastline nearby. Sedgemoor is a mecca for anglers and walkers/cyclists also well catered for with miles of largely level routes. Stunning coastal scenery and the Hills of the Quantocks, Mendips and Polden are all within easy reach and providing for all levels of walkers/cyclists.